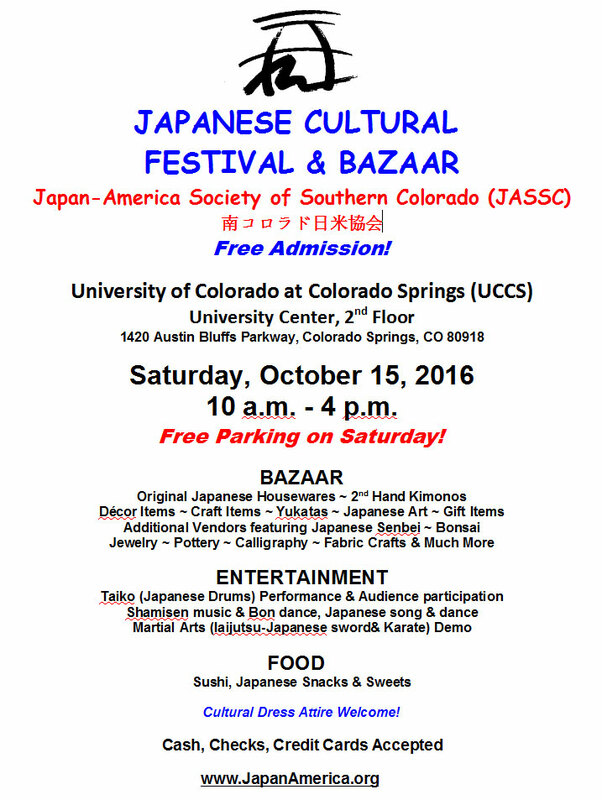 Attend our community-favorite bazaar and entertainment extravaganza again this year at the University of Colorado at Colorado Springs (UCCS), from 10am to to 3pm on Saturday, October 15, 2016. The location on campus is University Center (2nd floor), 1420 Austin Bluffs Parkway, Colorado Springs, CO 80918. Click here for additional information and another map.